A good threshold run on Tuesday but then had a sore foot for a few days - hence easy runs on Wednesday and Thursday. I didn't feel right for the Resolution Run on Jan 1st so I took the decision to have a very good old year night (ouch). 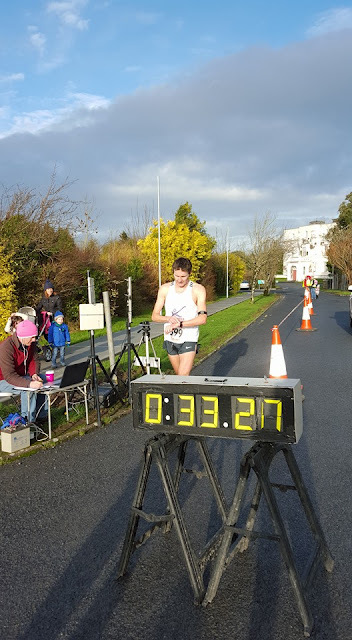 I decided to race on Sunday instead at Clarenbridge and despite winning by around a minute it was a real struggle. Thankfully not just me - most people I spoke to found it tough. Just one of those days I guess.